Why should you cleanse your new home? Moving house is a really exciting time, full of new beginnings and the prospect of a whole raft of new memories to be made. However, moving into a new home is a transitional time; you’re entering a space and the person before you is leaving. That means there’s a lot of different energies co-mingling. With that in mind it’s really important to cleanse your new home before you’re moved in. Every home has certain energy associated with it and in some respects, a spirit. A house gets it spirit and its dominant energy from its owner and the people that spend the most time there. Many people often use the phrase “if these walls could talk” but in effect, they do. A home gives out certain energies and vibes depending on the activities that occur inside the walls. It hangs onto its energy and it will be filled with the previous owner’s vibes. So before you move in, it’s a great idea to do a space cleanse to make way for your own energy. Failing to do so can throw you off balance for a little while and mean you don’t settle into your new home as quickly as you might have done. Certain people are more affected by the energy of others. For example, psychics and highly spiritual people tend to pick up on changes in the energy surrounding themselves much more easily and can in fact have strong reactions to it. When should you cleanse your new home? 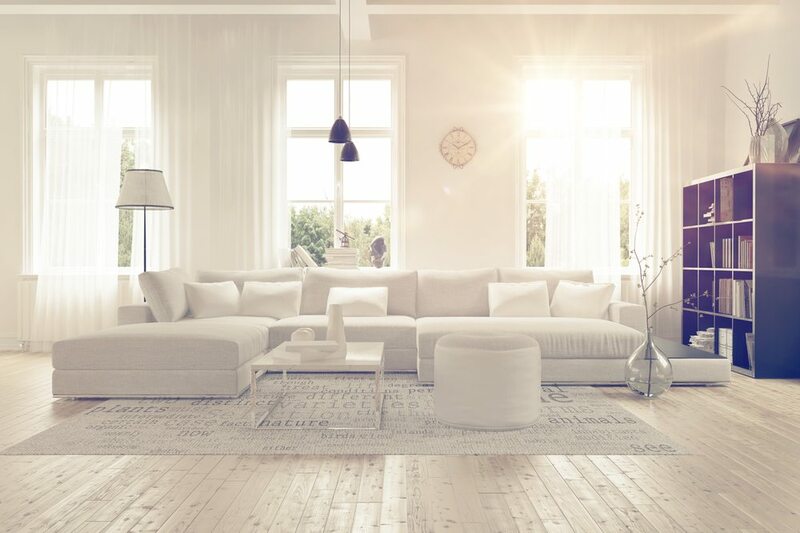 The best time to do a cleanse in your new home is before you’ve moved in. Ideally there should be nothing in the space. The previous owners belongings should have been removed (as much as possible) and your belongings should not yet be in the space. This is so you can really cleanse the space with no interfering of other energies. You can of course cleanse your space with your stuff already in it, but it just works better with a clearer space. The first thing you should do is conduct a walk-through of your new home. Start at the front door and make your way through your home, following the natural progressions of the space. Imagine the home welcoming you. As you do so open all windows and doors. Doing this will first introduce the space to your energies. Next it’s time to sweep out the cobwebs – both literally and metaphorically. Go through the entire home with a brush and sweep out any residual dust left over from the previous owner – again literal dust and metaphorical. For added purification you can use lemon and water to cleanse around doorways and windows. Once your space is clean, play some music that is special to you or represents your vibe, your aura and your complete energy. This will introduce the house to your rhythm and help it get on your wavelength. The vibrations of the music are very important. You can also place some healing crystals in important rooms and areas of your home whilst the music plays. Verbalise your intentions. Speak to your new home and tell it exactly what your plans are. Tell your new space your expectations and as you do so, walk through the home with burning incense and herbs to smoke out any residual energy. This smoke is an important part of the cleansing ritual. After the smoke cleanse has been completed take some rose quartz and place it in the centre of your home. Sit with the rose quartz and gently meditate letting your energy fill your new home. You can even call upon your spirit guides to help you bless this new space. Your new home is now cleansed and ready to be filled with your own love, light and energy!